Lexio is addictive. 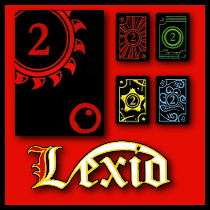 If you’ve never played Lexio, or cannot find someone to play with you right now, please try out my implementation. However, I encourage you to purchase your own copy to play with family and friends. Playing against ‘bots’ are okay in a pinch but the real fun comes in playing the game face to face. To start playing, click the start button below and follow the directions. I also encourage you to leave comments on the stories below to let me know what you think of the game, problems you’re having, constructive criticism, or just chit chat. Rules are available after you click start. Look for the rules link in the game parameter splash page.